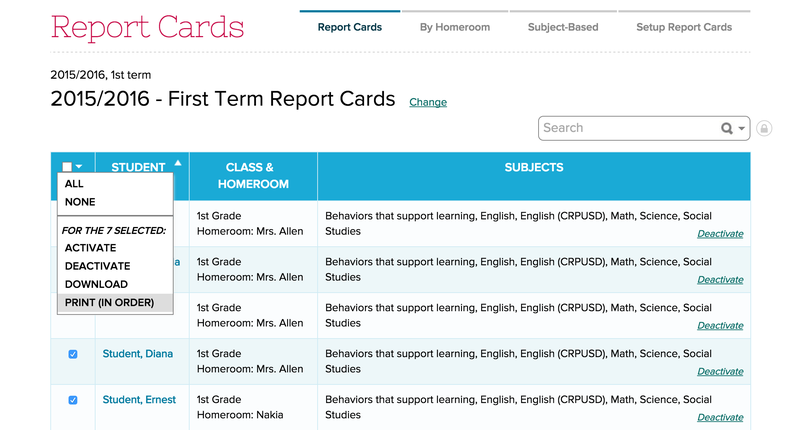 Select a collection of report cards or click the down arrow in the top left header box of the report cards column to select "All". From there, click the down arrow again and chose "Print (In Order)". Please feel free to try this out and let us know if you have any questions or concerns. Thanks!